Julie Hopes, CEO of The Conservation Volunteers, lists five points to show how volunteering can help develop your leadership skills. People volunteer for all sorts of reasons but in the current economic climate more people than ever are thinking about how volunteering for a cause they feel passionate about can boost their career prospects, or pave the way for a career change. And indeed, the best charities will want to support volunteers with training and personal development in return for the skills and effort freely given. 1. Be clear about your motivation. Really good charities will want to understand your motivation for volunteering, and will not expect 100% saintly altruism. If you can explain what you hope to gain from your volunteering experience, they can think about how best to support you. 2. Have a clear personal goal, and a timeline for achieving it. Good leaders provide a clear narrative framework for their actions. If you're looking at volunteering as a way to gain leadership skills, treat it like a project, with a clear set of goals and results. This could be as simple as gaining greater empathy for others, learning to work as part of a team or more operations based in focus such as building your project management skills. 3. Build volunteering into your career. Volunteering doesn’t have to mean taking time off and having a break from your day-to-day role. Many organisations now offer the opportunity for employees to spend time volunteering. Even if you just have an odd lunch hour, helping a cause working with an entirely different team can be both refreshing and inspiring. The Conservation Volunteers are currently running urban regeneration projects right in the city centre, perfect for those keen to escape the confines of the office. The Oasis programme in Holborn is currently developing a dedicated green space for the benefits of local workers and communities, and is open to those wanting to be involved in short stints. 4. Look for the right sector, but be flexible too. 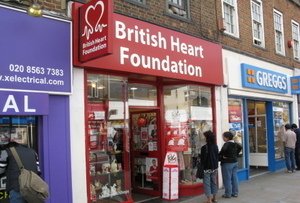 If your professional career is in retail, voluntary work in a charity shop would clearly make sense. If you want to work in conservation or land management, environmental charities are an obvious choice. However, bear in mind that leadership skills are often replicable across industries and sectors. So if you can't see an immediate connection between a volunteering opportunity and your ideal career path, think laterally. Volunteering in a charity shop may involve teamwork, management of shifts and rotas and dealing with landlords. These kinds of skills are valuable across the board, not just in the retail sector. 5. Get trained. Many charities these days train their volunteers, rather than simply pitching them in at the deep end. Training in project leadership – even if it is at NVQ rather than degree level – can boost a CV by adding evidence of practical skills alongside academic knowledge.